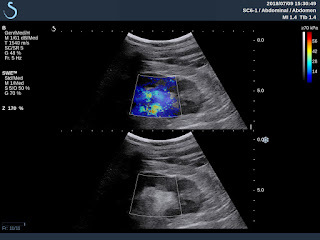 VIETNAMESE MEDIC ULTRASOUND: CASE 506: RENAL SINUS INFLAMMATORY PSEUDO- TUMOR, Dr PHAN THANH HẢI, Prof NGUYỄN TUẤN VINH, MEDIC MEDICAL CENTER, HCMC, VIETNAM. 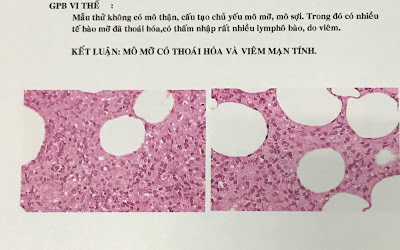 CASE 506: RENAL SINUS INFLAMMATORY PSEUDO- TUMOR, Dr PHAN THANH HẢI, Prof NGUYỄN TUẤN VINH, MEDIC MEDICAL CENTER, HCMC, VIETNAM. 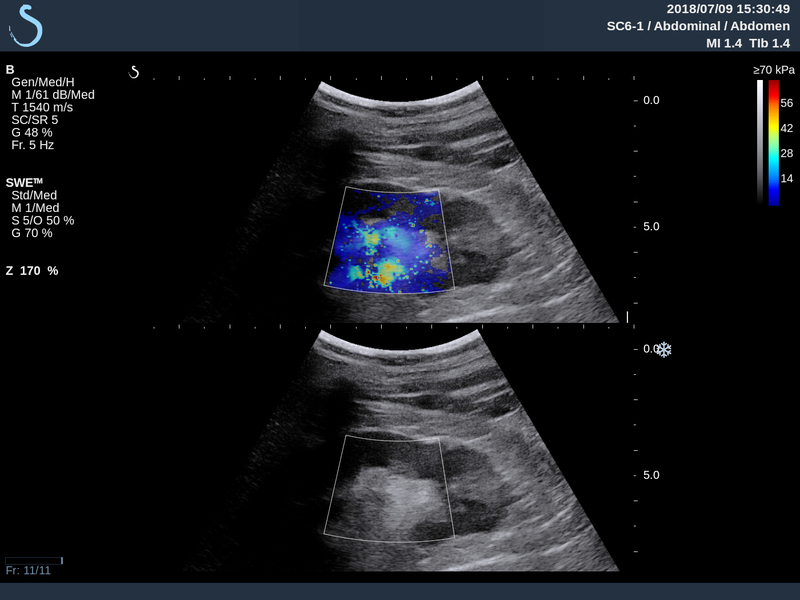 Man 64 yo with clinical nocturia. 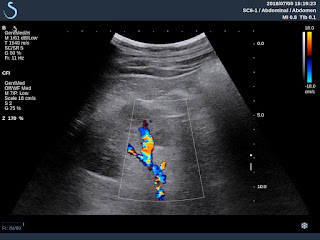 Renal ultrasound detected abnormal at right kidney. 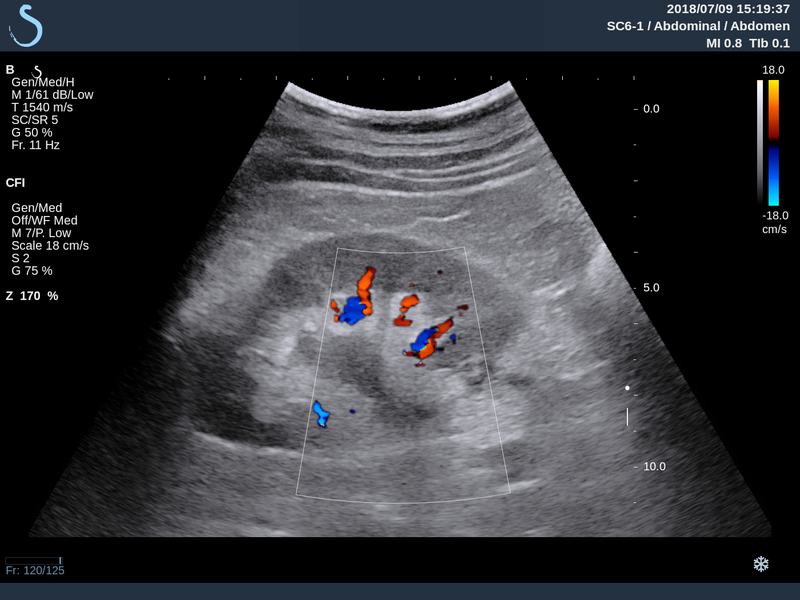 US1 : Right big renal hilus and hyperechoic. US 2: Crossed-section of right kidney shows hilus vascular compression. 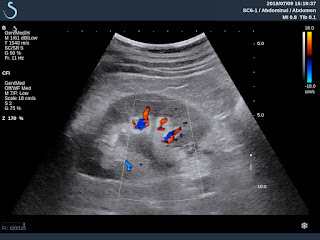 US 3: Small size of right kidney pelvis. US 4: In elastographic ultrasound, right renal hilus is hard. 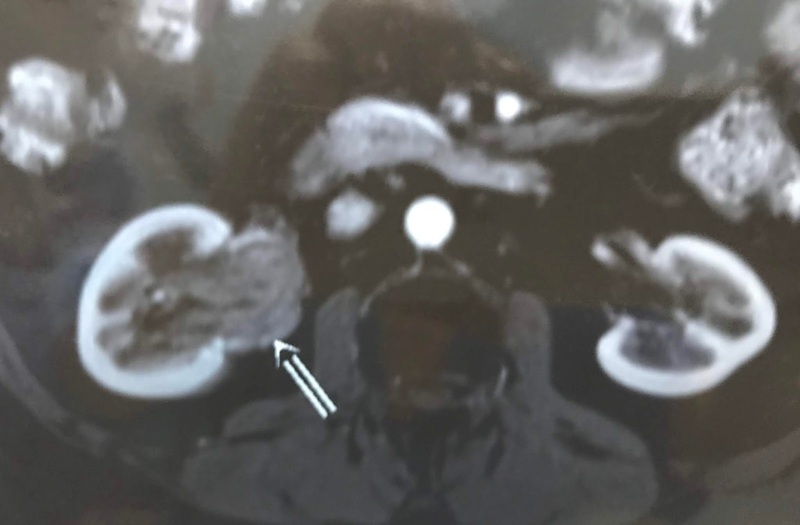 MRI 1 = Right kidney in normal size, no hydronephrosis but renal hilus is covered by one mass look like a tumor. 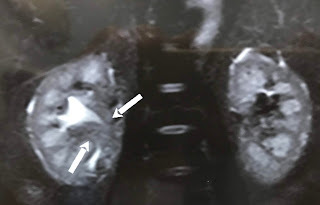 MRI 2 = Mass of solid structure covered the right renal hilus. MRI 3 = In frontal view, right pelvic kidney is small by this mass compressed. 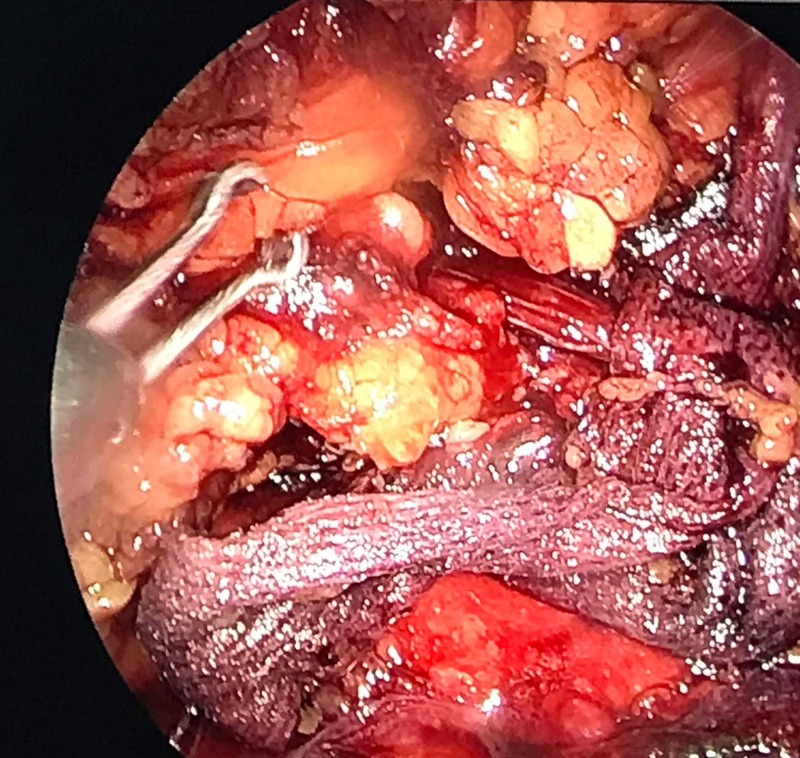 Endoscopic surgery= right pelvic kidney is normal without tumor. Laparoscopy detected the abnormal fatty mass covered the hilus kidney. Biopsy no tumor detected. Microscopic report is inflammed fatty tissue of renal hilus, that is a pseudotumor. 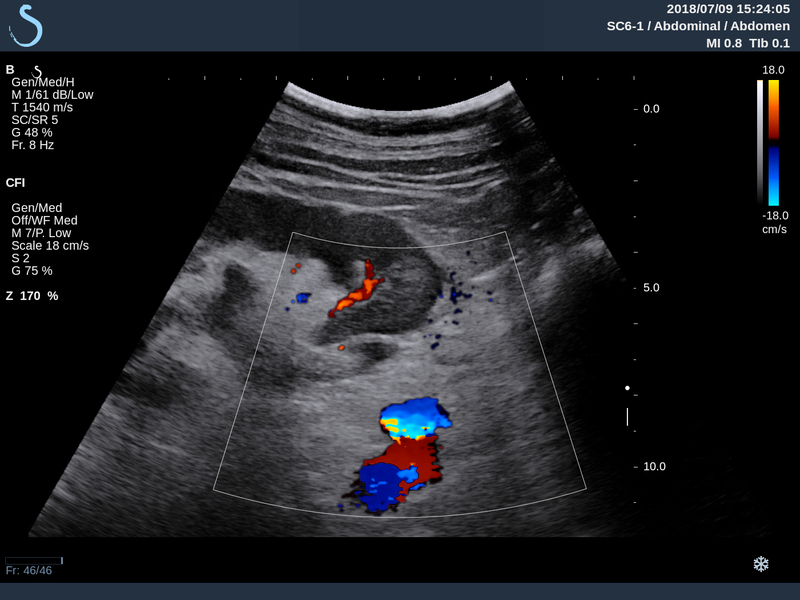 Reference : Hilus renal fatty stranding.